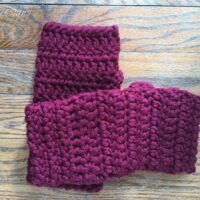 The Chunky Fingerless Gloves is a quick, easy crochet pattern. For a beginner crocheter, it allows you to practice foundation single crochet and reverse single crochet stitches. 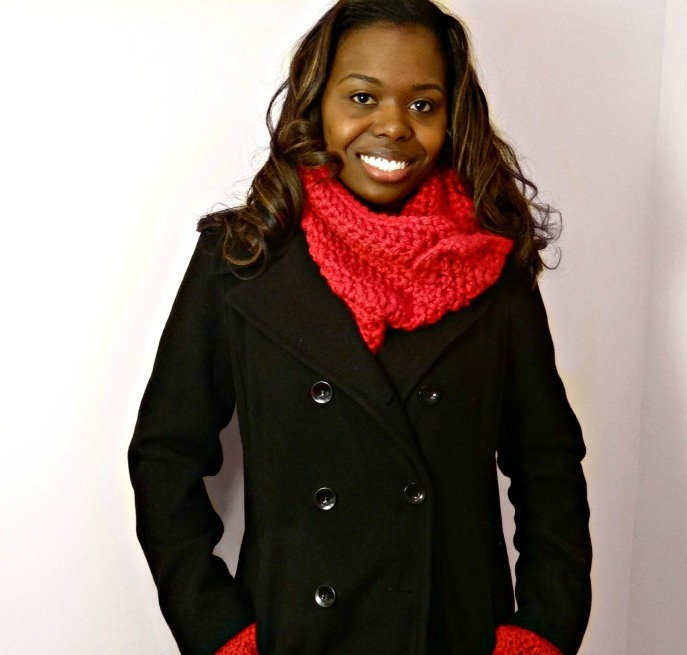 The best part of this pattern is that it uses only 94 yards of your favorite chunky yarn! 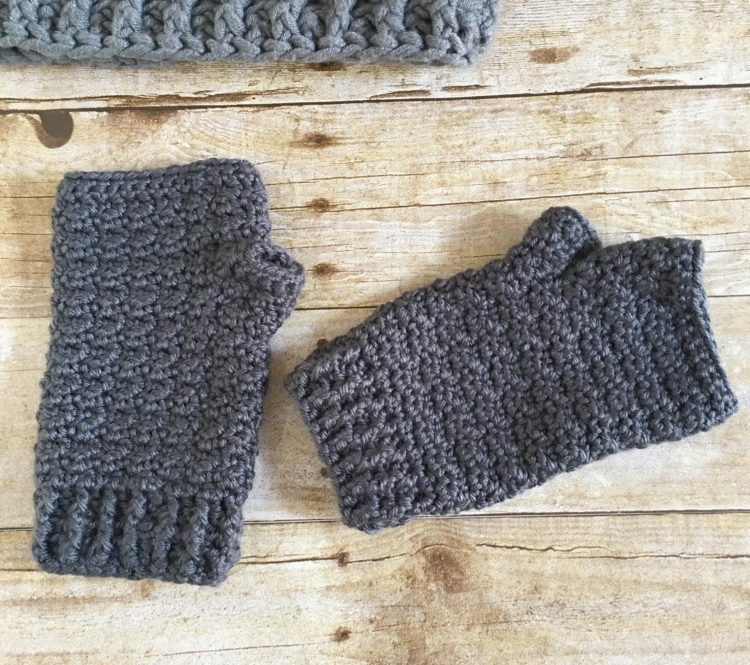 Grab your hook, yarn, and make a pair while watching your favorite movie. 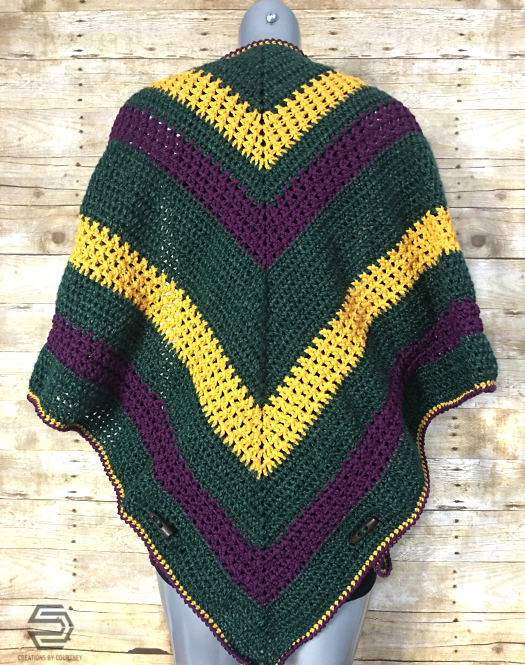 This is for an ad-free copy of the crochet pattern only. Are your hands cold most of the day, and you don’t want to be THAT person wearing gloves inside? 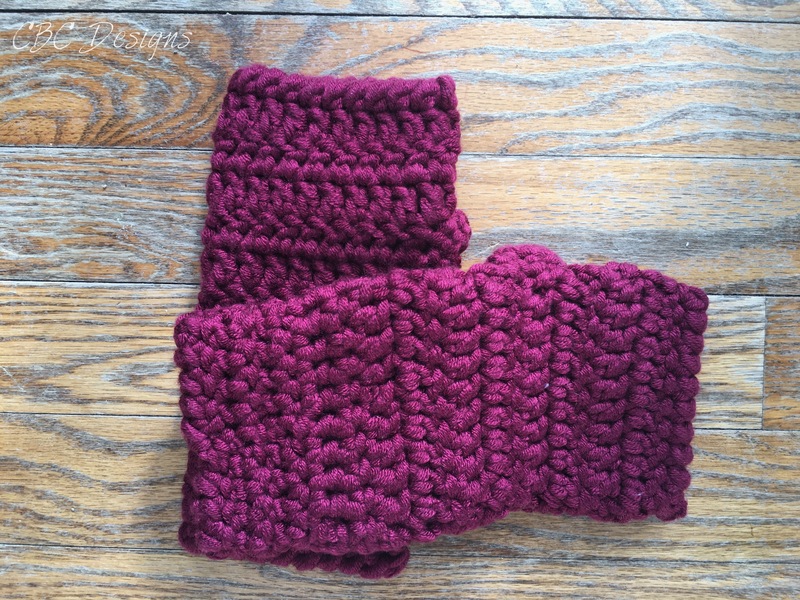 If you’re like me, then you will really like the Chunky Fingerless Gloves! This design was inspired/motivated by the fact that I could not control the temperature in my office, and I was losing feeling in my fingers. Brrrrr! So I needed a reasonable solution that allowed me to continue my work while keeping my hands warm. Yes, I know there are bajillion options out there for fingerless gloves, but how many only use 94 yards of yarn?? Yes, only 94 yards of yarn! For both gloves! You are not seeing things! Like I was saying, I wanted some fingerless gloves, so I went stash diving to come up with one skein of Loops & Thread Chunky Woolike. Have you used this fabulous yarn yet from Michaels’ exclusive line? It’s a super soft acrylic and nylon blend that gives a slight sheen, squishiness and stretch that works great for gloves, hats, or cowls. (The first time I used this yarn was to make the Triple Lux Cowl, a pattern by All About Ami and wanted a less expensive alternative to Lion Brand’s woolspun that didn’t have wool). While visiting a new city, I just had to visit a LYS (local yarn shop) where I found a 7.00mm hook, and I just had to use my new hook with some squishy yarn, and the Chunky Fingerless Gloves were born! 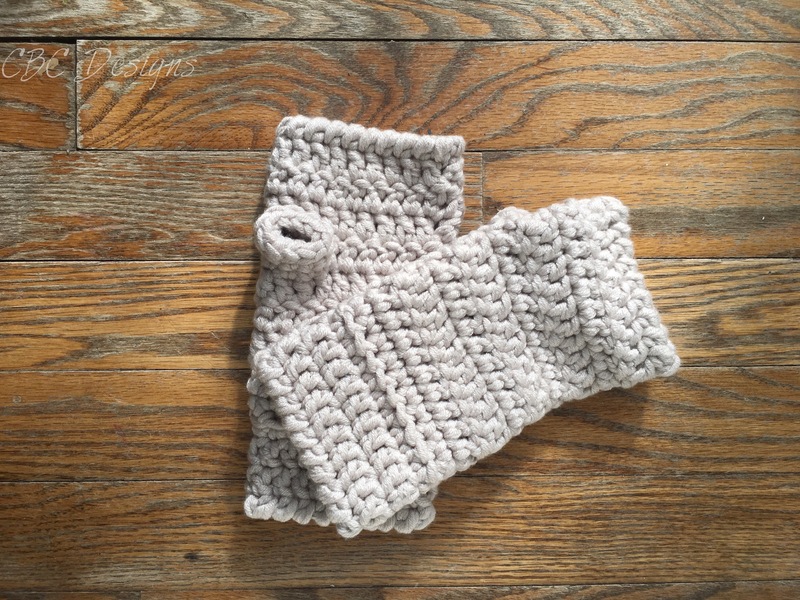 This is an easy pattern that is great for experienced crocheters who are looking for a practical, quick project, but also for beginners that want to practice and experience the versatility of foundation stitches.